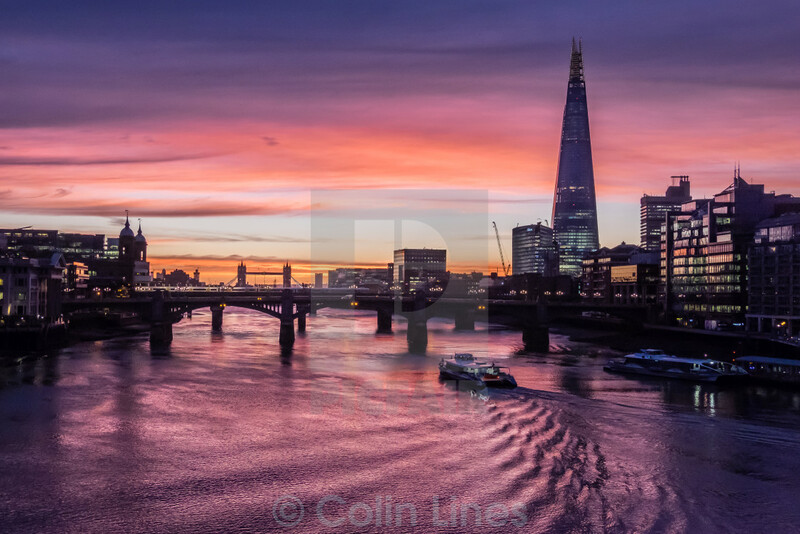 Picture taken at sunrise from the Millennium Bridge London looking toward The Shard. Tower Bridge is in the distance. The River Thames And Shard.